In 1958 St Sidwell’s church was rebuilt after the Blitz. A beautiful stained glass window by James Patterson was created, which can still be seen in the upstairs chapel today. 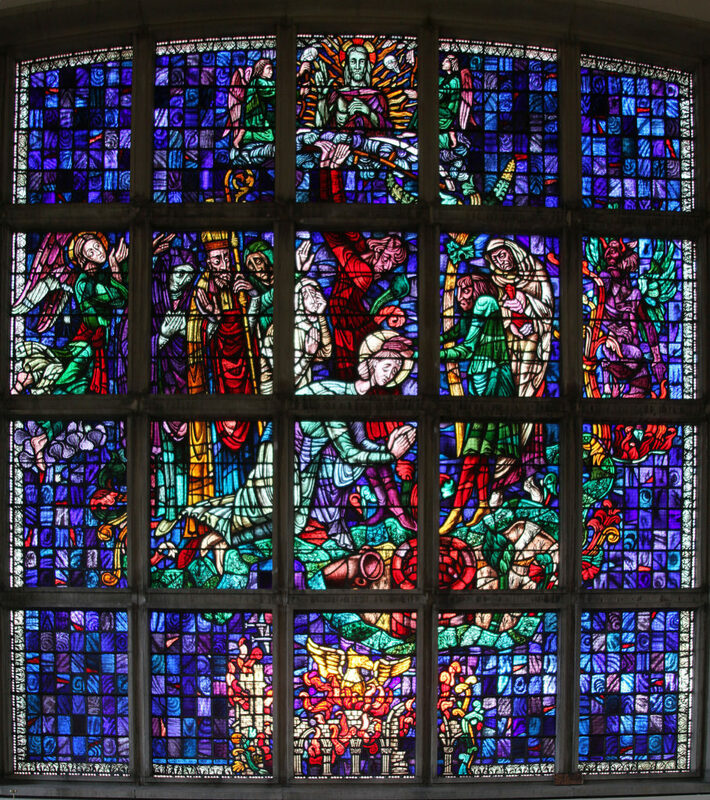 It features the legend of St Sidwella, an image of the phoenix rising from the burning church, as well as WWII German bombers, possibly the only such depiction on a stained glass panel in the UK.